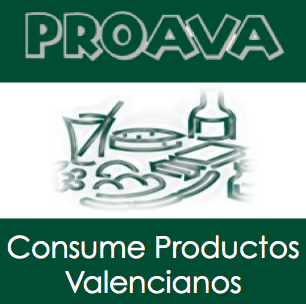 Matching Wine and Cava With Chocolate – A VÍ vid Workshop for Proava. Wine and Chocolate? Can you really pair them together? Well, it is not a new concept but it still raises eyebrows. Around the world there have been some highly successful pairings such as Boal from Madeira, Zinfandel from California, Australian Liqueur Muscat’s. Asti Spumante from Italy works with light chocolate mousses. Here in Valencia we knew of Bodega´s who have found that their red wines were also successfully paired, indeed the pre-requisite for a successful pairing is to start with a big, red wine! 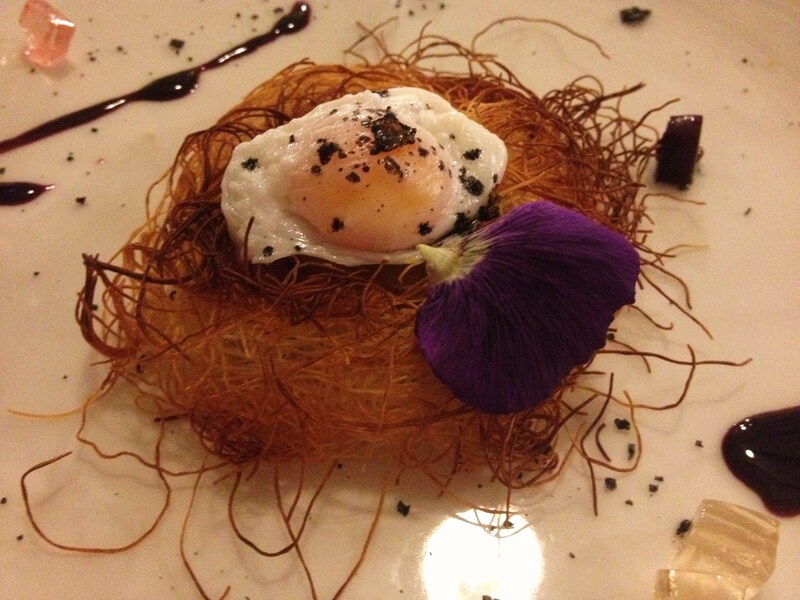 We were asked to extend this and try chocolate in pairings with white wine and cavas as well. First, the Bodega. 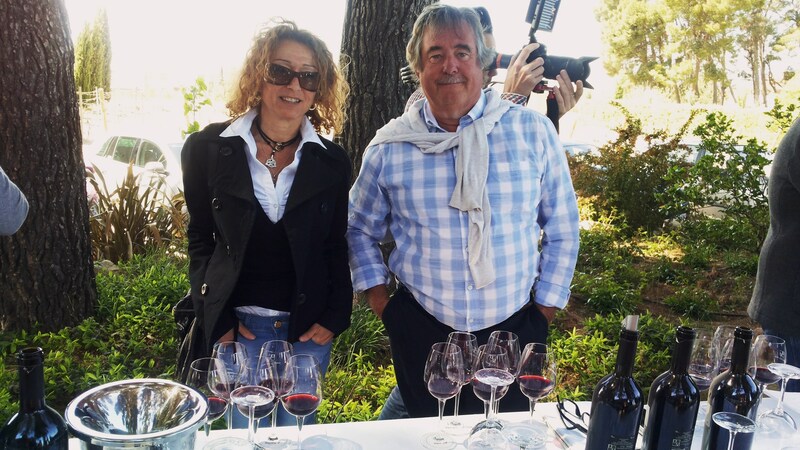 To be successful we believed the wines needed to have sufficient body and quality and having recently attended the launch of their new range of wines could see potential in the wines of Dominio de la Vega ( http://wp.me/p16pqB-JJ ) . Winemaker Dani Exposito has long had a reputation for making wines which express the best characteristics of the variety and the soils his vines are grown on. Second the chocolatiers. Who better than the Sueca company, Chocolate Artesano Comes? They have, after all been making artisan chocolate since 1870 and run a museum where you can see all the paraphernalia needed to make chocolate, observe their production process and best of all try their range! Recuerdame 2014 Blanco Seco ( Sauvignon Blanc 80%, Chardonnay 15% and Macabeo 5%, ). Gotas de Chocolate con Leche. 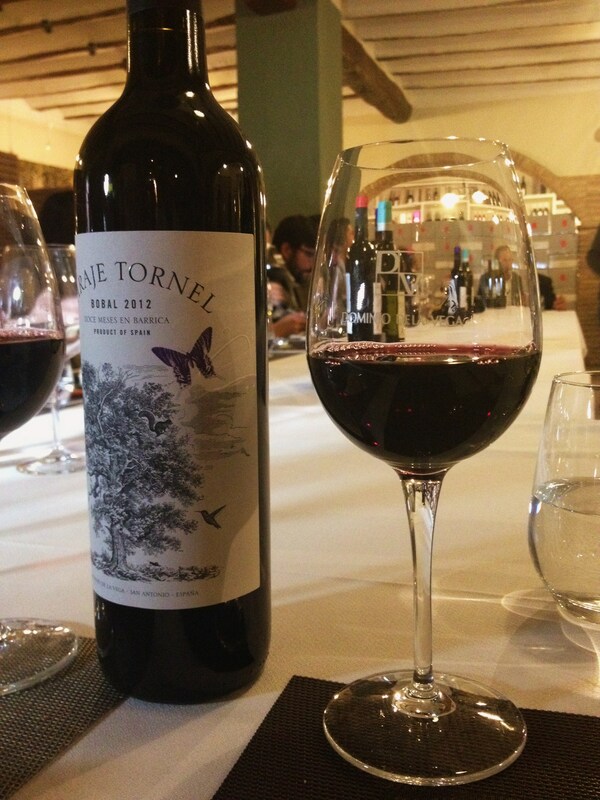 Paraje Tornel 2012, 100% Bobal with 12 months oak ageing. DO Cava Brut Nature, 100% Macabeo, 14 months `en rima´. DO Cava Brut Reserva Especial ( 70% Macabeo, 30% Chardonnay) 22 months `en rima´. Arte Mayor, DO Cava,60% Macabeo, 40% Chardonnay 36 months `en rima´. 1. Recuerdame. Golden colour, clean and bright. On the nose it is intensely floral, concentrated, with elderflower. This is the Sauvignon Blanc asserting itself (the fruit is tropical, passion fruit, apricot), and then as it opens up the banana and pineapple from the Chardonnay emerge. In the mouth, initially light, well-integrated fruit, alcohol and acidity, perfectly balanced with a long finish. Very good with creamy fish dishes. This matched well with the creamy chocolate. 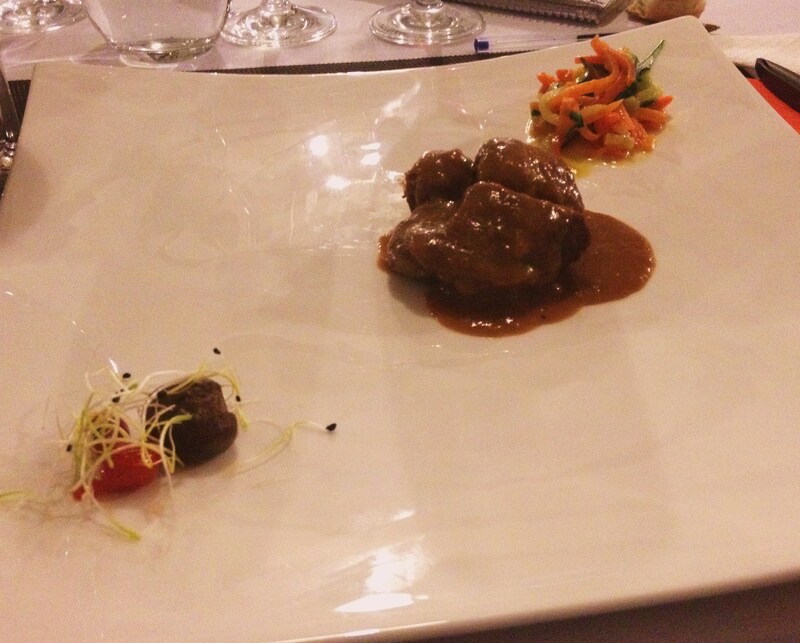 Neither wine nor chocolate dominated the palate. 12 months in new French oak barrels, plus a minimum of 12 months in bottle. Cardinal garnet red. Initially, on the nose, we find tertiary aromas from the oak ageing, toast, spices, coffee, cocoas,and mineral notes of the soil. Elegant, ripe red fruit such as plums, blackberries and red currants. Probably the easiest to match. 70% pure chocolate matches well with the fruit, tertiary notes and the smooth tannins in this wine. 3. DO Cava Brut Nature. At first sight has a yellow colour with fine bubbles.On the nose aromas of citrus and green apple with long-lasting floral notes , hints of bakery and pastry aromas. In the mouth expressive, dry on entry, balanced between the wine and the bubbles, and a fat finish. Best pairing with seafood, fish, salads, spicy dishes, and also all kinds of appetizers. Paired with the Chocolate a la Piedra, a traditional textured chocolate. We also tried this with the milk chocolate. Both worked suggesting that this wine might also match some desserts. 4. DO Cava Brut Reserva Especial. 20 % of the base wine spends 3 months in French oak barrels, and 22 months on the lees. At first sight it is bright golden-yellow colour with fine bubbles. On the nose, it shows complex aromas, ripe fruit (baked apple and apricot), white flowers and pastries and also vanilla. In the mouth, very creamy with toasty notes, lively acidity and long elegant finish. Perfect match with spicy dishes, Asian food, white meat and chocolates as Comes Chocolate Picante. It is made by blending two harvests together to obtain a base wine with complexity, volume and personality. The 2009/2010 is a bright golden-yellow colour with fine and persistent bubbles. On the nose, it has an intense, complex bouquet, mineral aromas (chalk), hints of baked apple and vanilla. There are also notes of patisserie (custard), and a subtly smoky backdrop . On the palate it is velvety, unctuous and intense, creamy, full-bodied, with a good structure and a long finish. 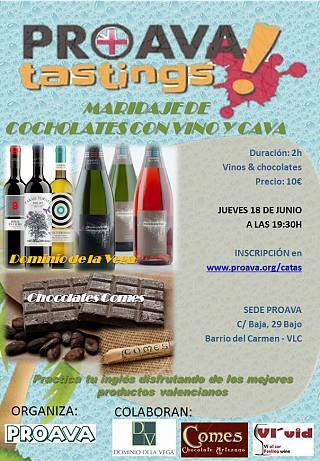 Pairing: cheese, cold cuts and today we are going to match it with a special chocolate from C. Comes. This was paired with the pure cacao. In fact this was perhaps too bitter with hindsight but both the Picante and Pure chocolates worked perfectly. VÍ vid lead the tasting. This experimental workshop was a huge success with lots of participation and expression of opinions in English! If anyone has any doubts we urge you to try it for yourself with an open mind – many were surprised how well the pairing worked in this workshop, part of Proava´s summer `Come y Bebe´ programme. Yesterday, Monday 20 April, the press were invited to Dominio de La Vega, in San Antonio, for the launch of a new range of wines. The winery has been producing amongst the best wines year after year and the winemakers have had a growing desire to make a new style of wine. This includes new modern lables, new designs and names which perfectly reflect the precious liquids the bottles contain. Its success in doing so is reflected in a combination of more successful marketing and wine sales and to a higher level of interest from export markets. The bodegas entry-level brand, Añacal , (a white, rosado and red) continues unchanged for the time being. Their next range, the `madurado en barrica´ Bobal and special selection Sauvignon Blanc and a Reserva tinto are the wines being replaced. The encounter started with an aperitif under the pines ( either a cava or the rosado) whilst everyone was welcomed, old acquaintances renewed and one or two new contacts were made! The old Casa del Conde which sits alongside the old National road from Valencia to Madrid, was built around 200 years ago at the height of Valencia´s export sales to France, a time when phylloxera had killed off the vines particularly around Bordeaux. This period also coincided with the growth of the railways which transported the wine to Valencia´s port. 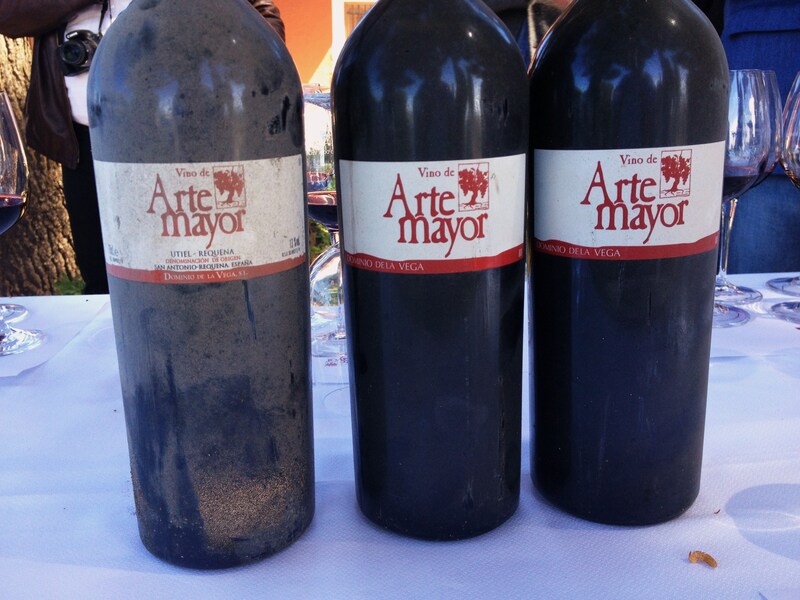 As a treat, we were about to be offered a vertical tasting of the bodega´s Artemayor red wine. This is a wine from Bobal, made only from the very best plot of the variety belonging to the bodega , La Beata, It is not a conventional wine. 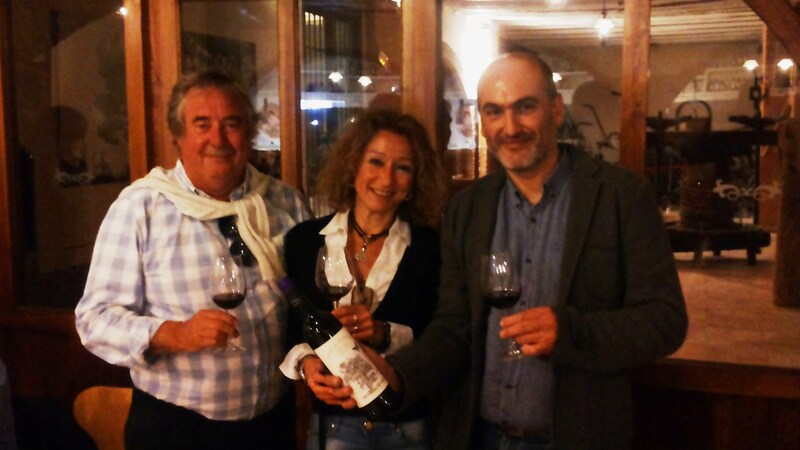 The 90-year-old plus vines are now producing concentrated, small berries which , with careful skills Dani Esposito , the bodegas winemaker and winner of many awards, is turning into an exceptional wine. When Dani started with the 2001 vintage Bobal it was still considered a poor variety only good for rosado. It certainly was not considered a wine to make heavy reds for ageing in bottle! 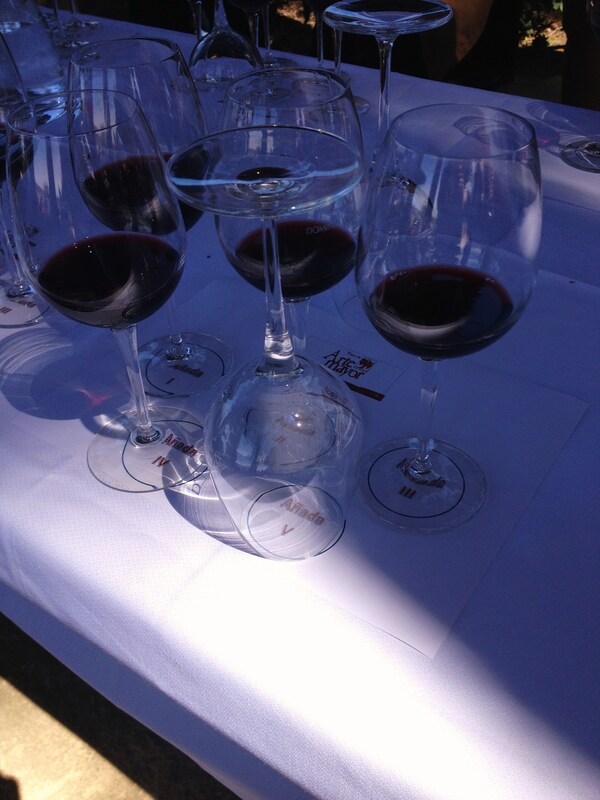 The wine is also a blend of three vintages. We commenced with the first `añada´ produced, a blend of 2001, 2002 and 2003., approximately 75% being from 2002. This had been bottled in 2004 . Garnet in colour there was evidence of sediment in the glass and it is beginning to show a hint of terracotta at the rim. On the nose it is still lively with mature, sweet fruit, a vegetal hint and oak. In the mouth it was fruity, slightly jammy, lively, with soft tannins and a touch of chocolate in a long full finish. The second añada, a blend of 2002, 2003 and 2004 was a slightly deeper colour with softer fruit on the nose but the tannins were a little firmer. By the third añada ( 2004/2005/2006) the bodega was experimenting with the maximum maceration and extraction of colour and flavour from the variety. The wood was much more marked on the nose, with the wine showing cacao and leather. This was the leanest añada with the least fruit, quite hard and tannic. The fourth, a similar colour to the last two, was perhaps a little brighter. This had undergone fermentation in open barrels and the 2005/2006 and 2007 were more balsamic on the nose , with hints of concentrated Marmite yeasts. concentrated and whilst rounder in the mouth the fruit was again a bit lean. This wine has some way to go before it will be ready and I will be sitting on my bottles for a while, I think! Finally the 2006/ 2007 and 2008 which comprises añada 5 was the brightest colour yet. This had notably long, heavy legs. The nose is initially closed but as it opens up cherry fruit, mature emerges. In the mouth the wine has a lot of oak, toasty, but black fruit, chocolate and a touch of tobacco leaf. All the wines show good reasons to keep well made Bobal wines for some time to allow them to express themselves fully. 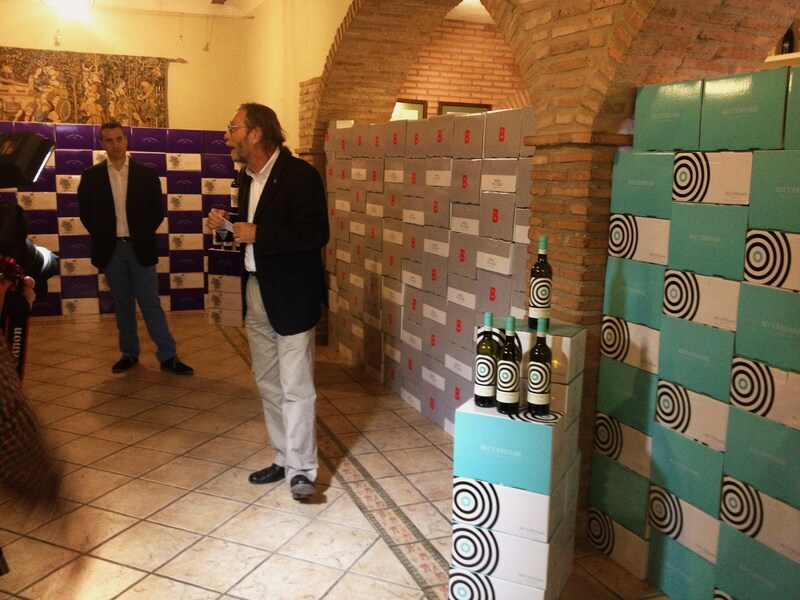 Alvaro Faubel presents the new wines. 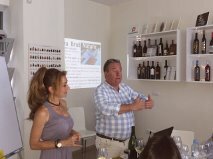 Then it was off to work with Alvaro Faubel, one of the bodegas three owners presenting the new labels and wines. This was accompanied by a lunch provided by El Yantar, the highly favoured Venta del Moro fusion restaurant. It has to be said the Bobal and Sauvignon Blanc with their modern , brightly coloured labels have proved a very popular range. It was with interest that we sat down to see what was taking their place! There was to be no disappointment! Recuérdame Blanco Seco 2014 with three months in oak is a blend of Sauvignon Blanc, ( 80%) with 15% Chardonnay and 5% Macabeo. It is golden in colour, surprisingly so, clean, brilliant with good legs ( 12%ABV). On the nose it is initially very floral, elderflower, grass, with the Sauvignon Blanc dominating. As it evolves so does the passion fruit and then a little pineapple as the chardonnay appears. Cod to accompany the Recuérdame. In the mouth it seemed light but suddenly it all comes together, a big , well-integrated mouthful, fruity, with lively acidity, rich, well-balanced and with a long full finish. At 6-7€ a bottle in the market this is a worthy successor and we look forward to showing it at tastings. 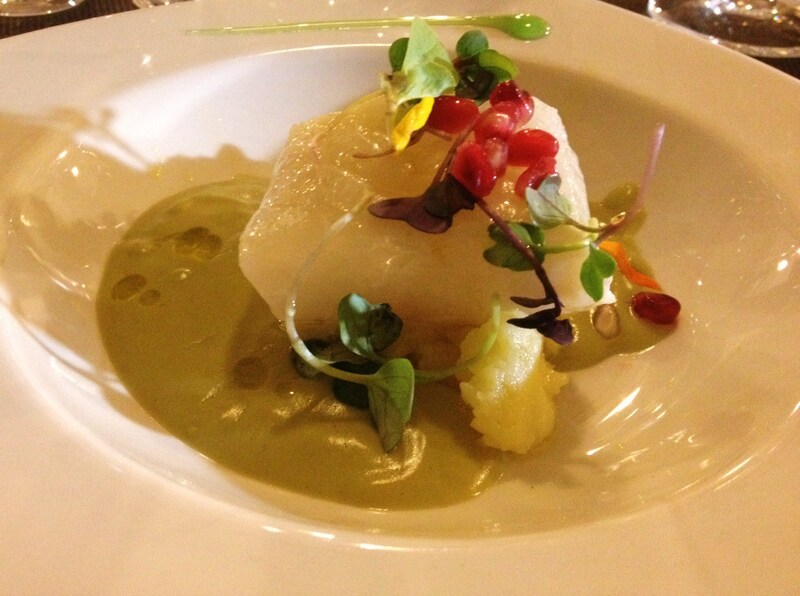 It was matched with cod ( slow cooked at low temperature) still translucent, served on potato and a creamed runner bean and onion sauce made with arbequina olive oil, and decorated with pomegranate seed and cress. This was stunningly good. 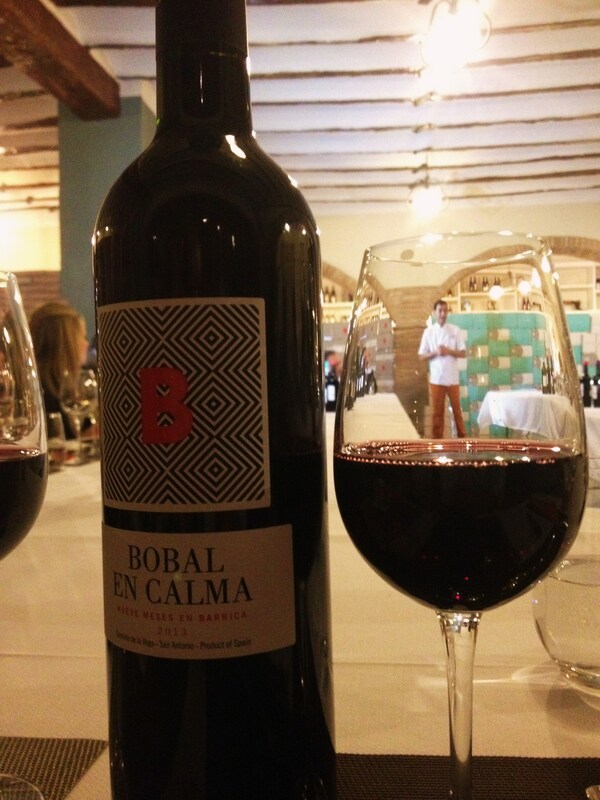 The second wine is a Bobal 2013, `Bobal en Calma´ with 9 months of ageing in 500 litre oak barrels. This is made to be fresh and to show the acidity and tannins which balance the fruit. Deep black cherry in colour with long slow, glycerinous legs. At first the nose was a little closed but the wine evolved quickly in glass ( it needs another couple of months in bottle) with fresh cherry nose then liquorice, chocolate and smoke. In the mouth it is indeed a fresh fruity wine, with good tannins and a long finish. It is a wine to drink with friends and good value at .7-8€. This was matched with poached quail egg on foie in a nest of pasta canaif, and roast apple with small cubes of gelatine made with white, rosado and tinto wines. 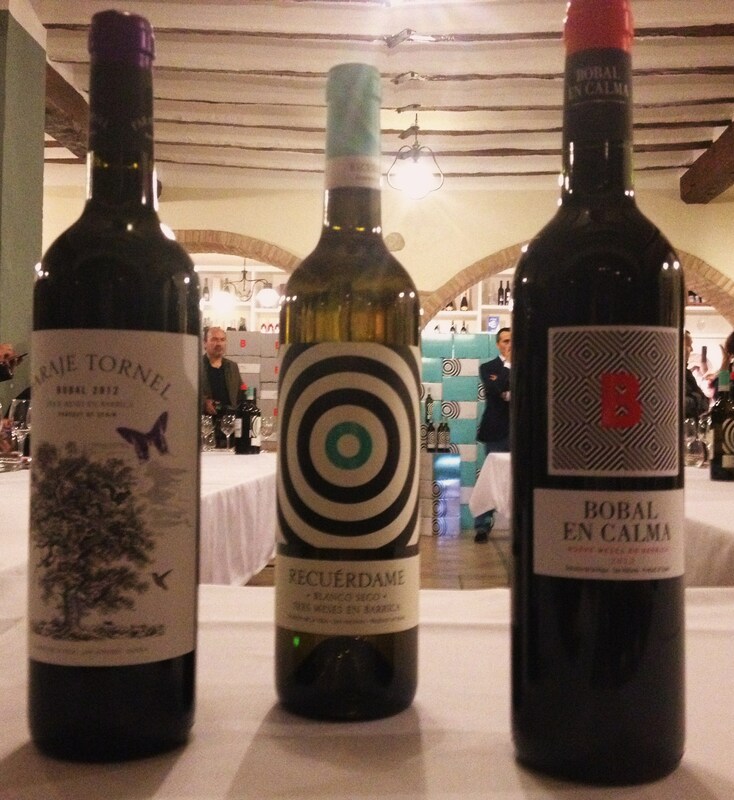 The third wine `Paraje Tornel´is also a Bobal with 12 months oak ageing. This is designed to show the intensity of wines from the variety with very mature vines. Very deep black cherry, very full with long slow legs. On the nose the fruit, acidity and the alcohol are perfectly integrated. Ripe blackberry and cherry fruit, liquorice, chocolate, café, crema patisseria were all evident. The fruit and spice are matched in the mouth with a full, creamy , round mouthful with a long fruity finish. Excellent! This was served with carillera, perfectly tender cheeks served in a rich sauce and garnished with a macedoine of carrot and courgette and beans with baby pickled onion and tomato garnish. 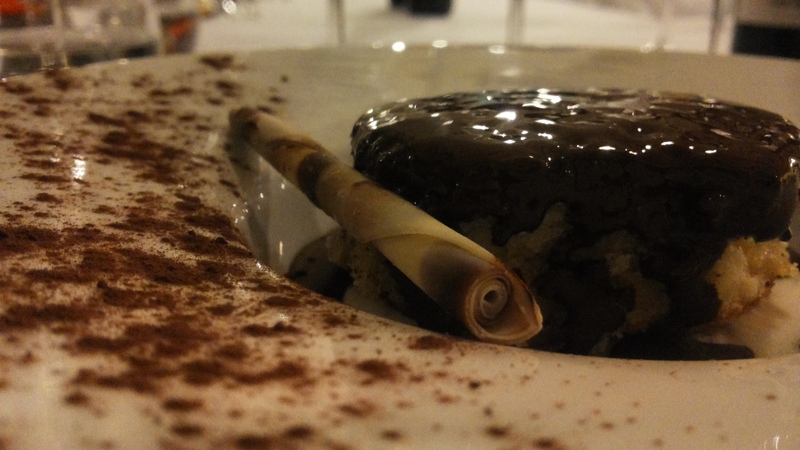 But , most of those around us agreed that the Bobals also went best with the sponge served as dessert with ice-cream and cinnamon with a hot chocolate sauce…..Bobal and chocolate, no surprise there! An excellent presentation, three worthy new wines to bear the Dominio de la Vega name, a tasting of five añadas of Artemayor and more examples of the excellent fusion food from El Yantar. An excellent mornings work! 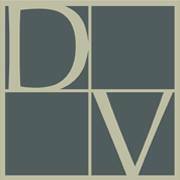 Thank you to Dominio de la Vega!